The massive-foreheaded boffins in Line 6 have been busy of late and have announced and shipped two new rock-toys. 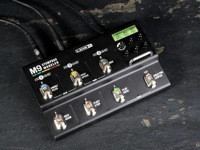 First off is the M9 Stompbox Modeler. This is a multi-effect pedal that houses a huge collection of splendid stompbox-type effects. Included are loads of distortions and drives, compressors and reverbs. There are filters, modulators and pitch-shifters. It’s also got a number of effects lifted from Line 6’s DL4 delay modeler and includes a 28-second looper with plenty of control over your loops. You can run three effects simultaneously and can tweak the order of your effects to you heart’s content. In addition, they’ve tried to keep things simple – all of the effect parameters can be fiddled with via its own dedicated knob without any requirement for messing about with menus. Throw in true-bypass, MIDI in and out and two inputs for expression pedals and you’ve got a tempting piece of kit. More info at Line 6. Not content with the M9, however, Line 6 have also announced their new line of Spider Valve MkII amps. As you’ll likely know, these amps are a collaboration with Bogner and feature pre and power-amp stages designed by the boutique amp maker. It’s all combined with Line 6’s modeling magic to provide tons of versatility all wrapped up in valvey warmth. It goes without saying that there are plenty of built-in effects to further shape your sound. 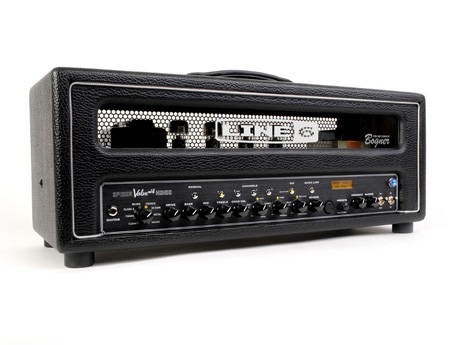 The line-up comprises two 40W combos (a 1×12 and a 2×12) and a 100W head. The combos drive Celestion Vintage 30’s and the tubes in question are 12AX7 preamp valves and 6L6 power valves. All those numbers should add up to a tasty amp.